Aldershot (United Kingdom) (AFP) - Hundreds of Buddhist protesters demonstrated against the Dalai Lama on Monday as the spiritual leader arrived in the British army town of Aldershot, where many current and former Nepalese Gurkha soldiers live. The demonstrators were Shugden Buddhists, who revere a deity denounced since 1996 by the Dalai Lama, whom they accuse of religious persecution. "Dalai Lama, stop lying!" they chanted as he arrived to open Britain's first Buddhist community centre, while his supporters held a counter-demonstration. However Damar Ghale, spokesman for the Buddhist Community Centre UK, said: "There is a large Nepalese community in Aldershot and they share the Tibetan and Himalayan people's reverence for His Holiness the Dalai Lama." The 2,500-strong Gurkha brigade, soldiers recruited in Nepal, has been part of the British army for 200 years including on the frontlines in Afghanistan and Iraq. As well as serving soldiers, there are still communities of retired Gurkhas dotted around Britain who often settle near military bases after leaving the army. 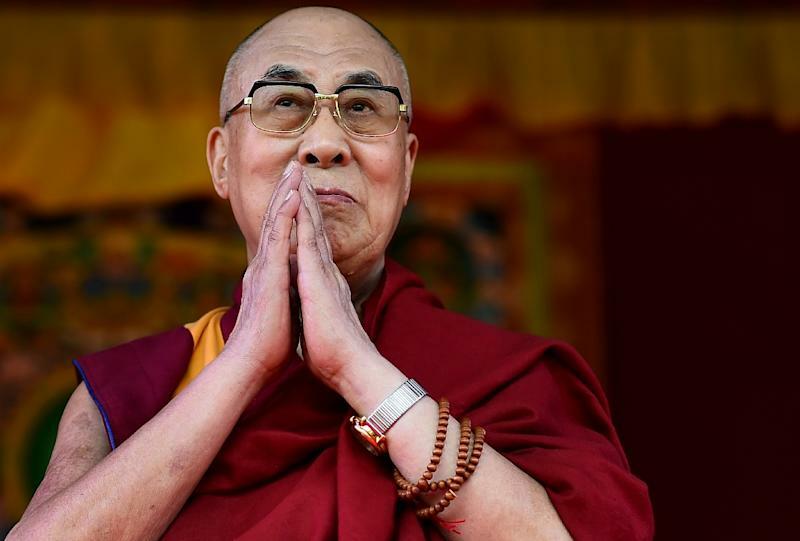 During his speech at Aldershot stadium, the Dalai Lama referred to recent Islamist attacks saying: "I think genuine Islam practitioner should not create any bloodshed". "All major world religions in spite of different philosophical views, all carry the message of love," he said. The Dalai Lama on Sunday visited the Glastonbury music festival for the first time, addressing revellers on how the world could be a better place. "Everyone has the right to achieve a happy life," he told hundreds gathered at the Greenfield site, an area of calm away from the madness of the main music stages. He was treated to a rendition of "Happy Birthday" by the crowd in honour of his 80th year, and urged them to "think seriously about how to create a happy world, a happy 21st century -- that's the best gift for me". China has criticised Glastonbury organisers for inviting the Dalai Lama to speak, saying they were offering him a platform for what it calls his "separatist activities". The Dalai Lama says he supports "meaningful autonomy" for Tibet rather than outright independence, but Beijing often denounces officials who meet him.